 Statistics show that more than half of all Canadians eat fewer than 5 servings of fruits and vegetables per day. This is unfortunate as they are packed with vitamins, minerals, fibre and many phytochemical compounds that have cancer-fighting properties. Plants are greatly complex, living organisms that produce an array of very reactive phytochemical molecules which can affect a number of processes involved in cancer development. Phytochemical compounds are the molecules that enable plants to defend themselves against infections and damage. Plants cannot run away from their attackers and as a result have developed highly sophisticated protection. The phytochemical compounds produced by plants have antibacterial, antifungal and insecticidal functions that reduce the harm caused by attackers. The protective role of these various phytochemical compounds is not limited to their effects on plant health; these molecules also play a frontline role in our defense systems against cancer. 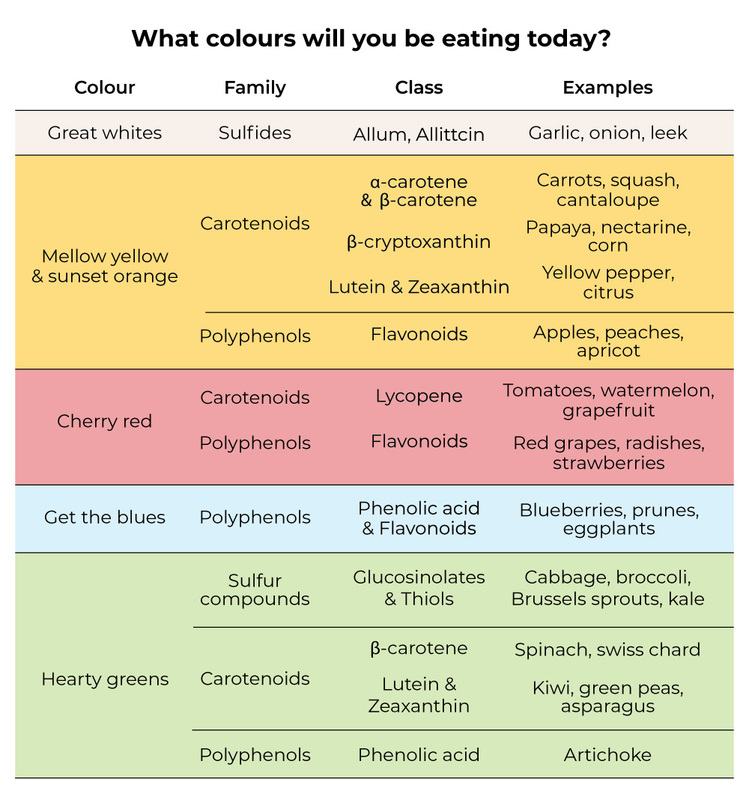 The main phytochemical compounds in food can be easily identified by the food’s colour or odour. For example, most brightly coloured fruits are major sources of polyphenols. Other classes of phytochemical compounds are characterized by smell. For example, the smell of sulfur associated with crushed garlic or cooked cabbage is due to sulfur compounds in these foods, whereas the odor of citrus fruits is related to certain terpenes. These molecules are not just antioxidants. In addition to their antioxidant properties (which help absorb free radicals), they contain other properties whose biological effects target many processes involved in cancer development. A diet based on consistent intake of foods containing high levels of these compounds is definitely a great weapon to help prevent cancer. Since all fruits and vegetables provide different benefits, the key is to eat a variety. As a bonus, they will certainly add a lot of colour and texture to your meals! The Canadian Food Guide recommends that at least half of our cereal products be whole grains. They are an excellent source of vitamin B, minerals and fibre. Fibre is a natural, non-digestible component of all edible plants, including grains, nuts, seeds, legumes, vegetables and fruits. It absorbs liquid and adds bulk to your stool so that your food waste passes through your intestines quickly, absorbing carcinogens and other toxins as it travels. It is key for digestive health! According to the World Cancer Research Fund, a diet high in fibre reduces the risk of cancer. Whole grains are also a rich source of various bioactive compounds, including vitamin E, selenium, copper, zinc, lignans and phenolic compounds. Many of the compounds, which are largely found in the bran and germ of the grain, have potential anti-carcinogenic properties. Whole grains may also help protect against some types of cancer by binding carcinogens and regulating glycemic response. Cruciferous vegetables (including cabbage, broccoli and radish) are one of the most studied vegetable families and the topic of more than 20,000 scientific articles in past decades. They contain significant quantities of glucosinolates, phytochemical compounds activated by chewing. According to recent studies, regular consumption of vegetables from this family could reduce the risk of colorectal cancer by 30%. Berries are an excellent source of polyphenols (ellagic acid and anthocyanidins), which have great anticancer potential. Citrus fruits are much more than a plentiful source of vitamin C. They also contain many polyphenols (flavanones) and fragrant molecules called terpenes. In addition, they have the ability to enhance the anticancer potential of other phytochemical compounds in your diet. It is preferable to consume the whole fruit instead of only the juice for less sugar and more fibre. Tomatoes contain lycopene, a compound that is responsible for the red colour but which also has properties that help reduce the risk of cancer, especially prostate cancer. It has been shown that cooking maximizes the anticancer potential of tomatoes. Quinoa is high in fibre, manganese and protein, but it also contains isoflavones that have a high antioxidant potential. At the grocery store, spend more time in the fresh fruit and vegetable section and try new ones. Add fruit to your breakfast cereal or yogurt. Add a handful of spinach or kale to a fruit smoothie. Add frozen or dried fruits to your muffin recipes. Prepare veggies and fruits before storing them in the refrigerator to make them more appealing and ready to eat. Bring them to work! Keep some vegetables in your freezer so you never run out of them. Start dinner with a salad of dark greens and colorful veggies or a vegetable soup. Fill half your plate with vegetables at dinner. Vary the ways that you prepare your vegetables. For example, try roasting asparagus and bell peppers in the oven, prepare mushrooms and bok choy in a wok, add lemon juice and coriander to your avocado or enjoy carrots with a Greek yogurt dip. 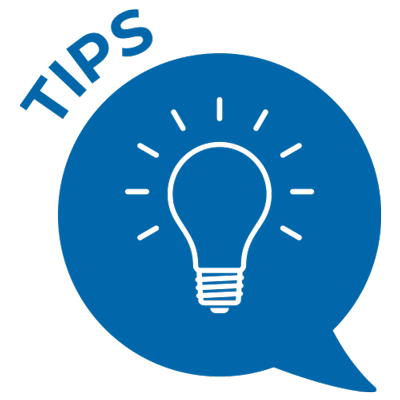 At the grocery store, compare the nutrition facts label on the packages of bread or breakfast cereals and choose an option that is a good source of fibre. Start your day with a bowl of warm oatmeal with raisins. Use whole grain bread or rolls for your sandwiches. Try quinoa. It can easily replace rice in some of your meals, or you can eat it as a salad with vegetables. Add barley or brown rice to your soups. Substitute whole wheat flour for all or part of the white flour when baking. Choose whole grain crackers with hummus as a snack. Buy whole grain spaghetti and enjoy it with your favourite Italian sauce. Bradbury, K. et coll. 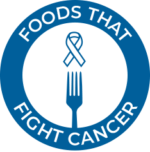 ʺFruit, vegetable, and fiber intake in relation to cancer risk: findings from the European Prospective Investigation into Cancer and Nutrition (EPIC.)ʺ. American Journal of Clinical Nutrition. June 11, 2014. Kim, Y., Je, Y. (2016). «Dietary fibre intake and mortality from cardiovascular disease and all cancers: A meta-analysis of prospective cohort studies». Arch Cardiovasc Dis. 109(1) : 39-54. https://doi.org/10.1016/j.acvd.2015.09.005.